Dentistry falls into two general categories consisting of necessary dentistry and cosmetic dentistry. Because dental implants both improve the appearance and contribute to oral and general health they actually fit into both categories. When you lose a tooth you often feel embarrassed to smile and as a result become less social. This can be very damaging to your self-esteem. But there are also unseen physical changes taking place. If the missing tooth is not replaced the remaining teeth will begin to move around in your jaw. Missing teeth also cause bone deterioration, giving the face a sunken look. 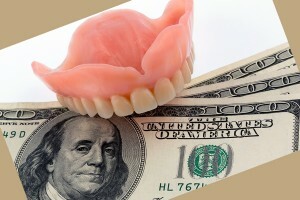 Dentures can restore your smile, but they do nothing to halt the bone loss. A PHX dental implant functions as an artificial tooth root helping to prevent bone loss and acting as an anchor for a replacement tooth. 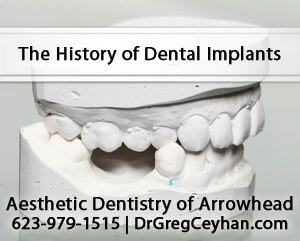 The implant itself is shaped like a screw and is surgically implanted into the jawbone. Now comes the amazing part; the jawbone grows around the implant until they are completely fused and inseparable. 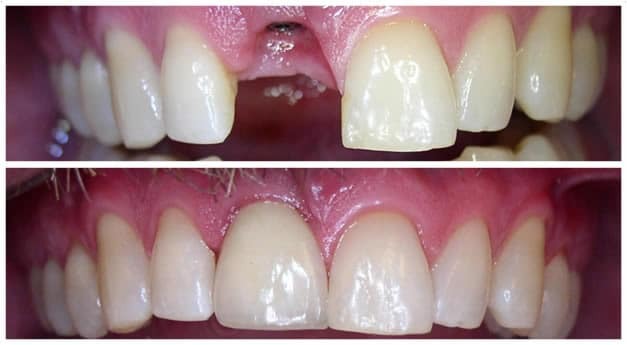 This fusion is called “osseointegration.” Then after your mouth has healed your dentist can place a permanent crown over the implant to complete your tooth restoration. 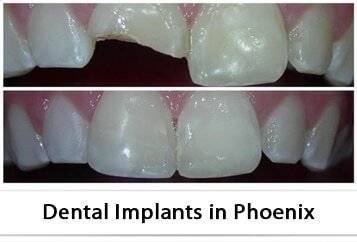 Dental implants are a good option for Phoenix patients who are unable to wear dentures for various reasons. Dental implants can also be used to support dental bridges. Additionally, the implants will help prevent the bone deterioration that accompanies tooth loss. Best of all, dental implants feel and look like your own natural teeth. Statistically, today’s dental implants have over a 95 percent success rate. Contemporary dental implants are sophisticated and dependable. The surface of the metal implant is often roughened by blasting or etching to increase the surface area for the bone to fuse with, thereby increasing the likelihood of the osseointegration of the implant. To have successful dental implants you need to have sufficient bone structure, have good dental health and be in generally good health. For the process of osseointegration to be successful the dental implant should be surrounded by healthy tissue and bone. If a patient does not have sufficient healthy tissue and bone to support the implant, often the dentist can reconstruct it. The care of implants is similar to that of natural teeth. Brushing and flossing are still just as important, as are regular checkups with the Phoenix AZ dentist. Proper oral care will increase the likelihood of successful implant therapy and leave you with a beautiful smile. 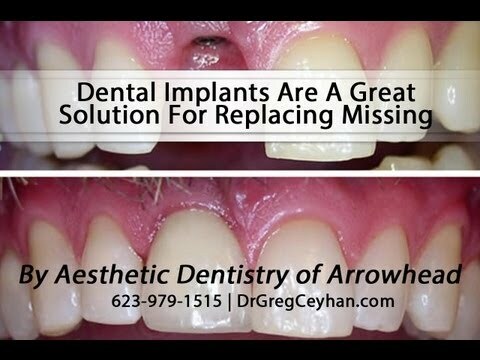 Dr. Greg Ceyhan has attended hundreds of hours of continuing education to stay informed of the latest techniques and advances in implant dentistry. Dental bonding and composite or tooth colored fillings are a great cosmetic advancement, and can last 20 years or more. Schedule an appointment today for a full evaluation to find out if dental implants will work for you! One of the most popular ways to improve your smile and take years off your appearance is teeth whitening. As we age, our teeth naturally darken, so we associate a sparkling white smile with youthfulness. Teeth whitening is a quick and easy procedure. Just a few decades ago it was unusual for someone to retain all of their natural teeth into old age. Since people today are better educated in preventative dentistry and dental hygiene they do plan to keep their teeth for the rest of their life, so they want them to look their best. Cosmetic dentistry in Phoenix offers many options for people who are unhappy with their appearance. It is virtually painless and achieves natural looking results. 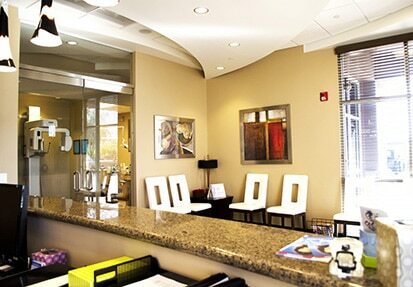 Come in to Aesthetic Dentistry of Arrowhead for a consultation. We want to make the people of Phoenix smile! All material provided on this website is provided for informational or educational purposes only, and is not intended as a substitute for the advice provided by your healthcare professional, physician or dentist.